This Easter I had this strong desire to make homemade sweet rolls. I found a great orange rolls recipe and bought some yeast so I would be all set to make them entirely from scratch. And then reality set in. I am a mom to a 3 week old infant. I haven’t been blogging food much lately because I barely have enough time to brush my teeth in the morning, let alone make rolls which have a ton of steps and time involved. What to do? 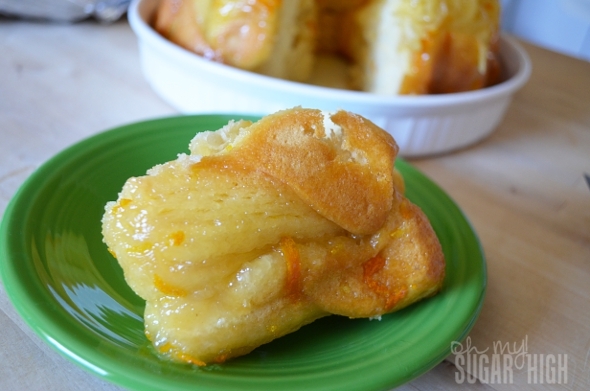 Find a quick and easy recipe for my orange rolls craving of course! This recipe was slightly adapted and works great with refrigerated biscuit dough and doesn’t call for many ingredients. I was able to get it into the oven with only 10 minutes of prep work! 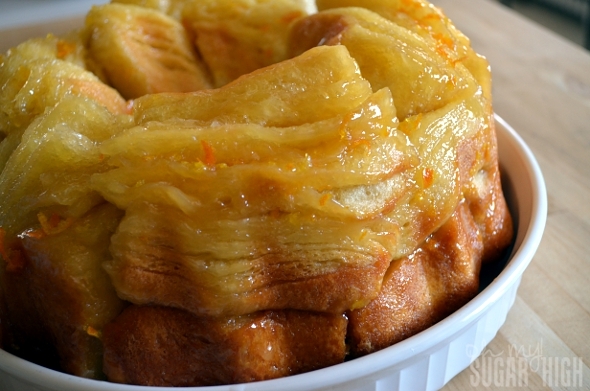 These orange rolls are extremely flavorful and taste fabulous warm right out of the oven or heated up as leftovers the next day. 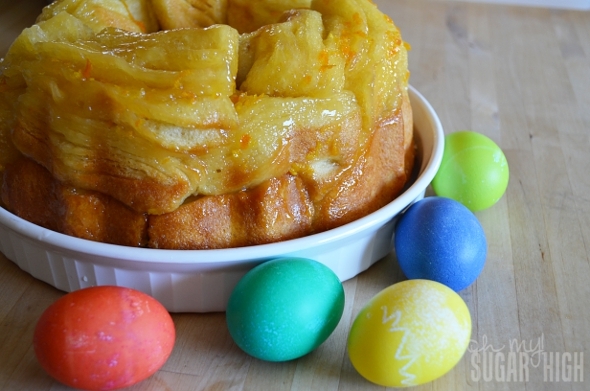 This is a perfect option for anyone who would like to make something special for Easter brunch but be able to spend time with family instead of time in the kitchen on Easter morning. Preheat oven to 350 degrees F. Grease fluted tube or bundt cake pan. In small saucepan, melt all ingredients except for biscuits over medium low heat. (Sugar should be dissolved and butter completely melted). Pour into bottom of pan. Cut biscuits in half and layer them in pan, starting from the outside and working your way in. Biscuits will overlap. 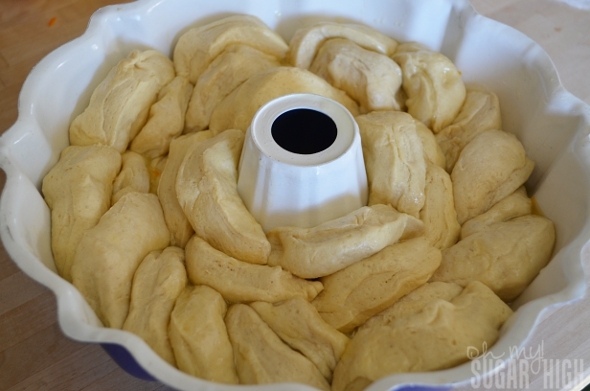 Bake for 26-32 minutes or until biscuits are completely done. Top will be a darker golden brown but not burnt! Immediately flip over onto plate or platter with sides. Serve warm. Living the inspiration! I too am a full time mother with very little ME time on my hands. With a houseful of kiddos and a military husband it certainly makes it hard to blog about the food I love and take the time to display it so well as you do! Thanks for sharing and the recipes and pictures look delicious. These are some delicious looking rolls. The pictures sell it completely darn I’m hungry now, can’t wait to make these for mothers day tomorrow. Thanks for sharing.